This just might be the news of the week! 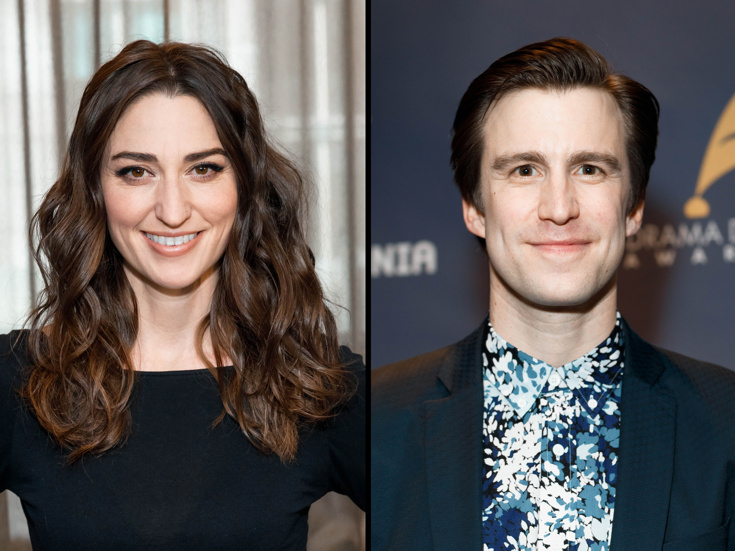 Sara Bareilles has announced that she is returning to the stage for another turn as Jenna in her Tony-nominated musical Waitress. She'll be joined by Tony winner Gavin Creel taking on the role of Dr. Pomatter for the first time. The pair will play a limited run from January 7 through February 3, 2019, succeeding current star Nicolette Robinson, who will play her final performance on December 9, and Drew Gehling, whose final performance date is to come. Grammy nominee Bareilles twice previously starred as Jenna in the hit musical for which she penned the score. In addition to her Tony nom for composing Waitress, she was nominated for writing the SpongeBob SquarePants act-two opener "Poor Pirates." Creel earned a 2017 Tony Award for his turn as Cornelius Hackl in Hello, Dolly! His other Broadway credits include Tony-nommed turns in Thoroughly Modern Millie and Hair, as well as performances in La Cage aux Folles and She Loves Me. He also reprised his Olivier-winning turn as Elder Price in The Book of Mormon on Broadway. This past September, Bareilles and Creel dueted on the Waitress tune "Bad Idea" at a press event for the musical's upcoming London premiere. That production will star Katharine McPhee reprising her Broadway turn as Jenna alongside David Hunter as Dr. Pomatter. With a book by Jessie Nelson and a score and orchestrations by Bareilles, Waitress is directed by Diane Paulus, with choreography by Lorin Latarro and musical supervision by Nadia DiGiallonardo. The musical features scenic design by Scott Pask, costume design by Suttirat Anne Larlarb, lighting design by Christopher Akerlind and sound design by Jonathan Deans.